Hospitals, Food Establishments, Schools, Universities, Businesses, Government Agencies: Great news! We now have machines for your food waste needs. First we have the excellent composting machine which turns your food waste into usable compost in two weeks. 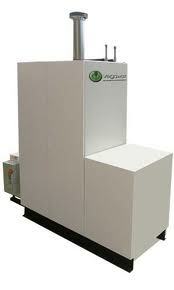 The smallest machine is for clients who have about 80 gallons of food waste per week. The largest machine serves a client who produces 925 gallons per week. These composters works great with the Insinkerator Waste Pulper. Insinkerator Waste Pulper: For those food establishments looking to reduce their food waste by a 10 to 3 ratio, we offer the Waste Pulpler. This would mean if you normally put out 10 bags of food waste, after using the waste pulper, you would only be putting out 3 bags of food waste. The Waste Pulper is also used for those who wish to reduce food waste before putting the food waste into the composting process. The after product is perfect for composting. People Powered Machines has creative composting solutions for your food and oil waste: to learn more about large in-vessel composters, the Ecorect, and the Waste Pulper call 978 884 8156. Read about the Vegawatt below. Size is not a problem. Send us your composting request and we'll get right back to you. Please contact david@peoplepoweredmachines.com or call 978 884 8156 for more information. 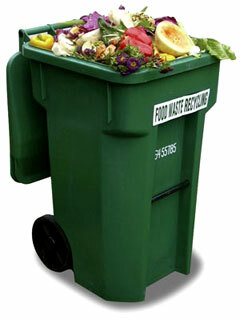 If you are interested, a food waste audit will be sent to you. You'll be asked to complete the audit and return to us. After we receive the audit, a technician will call you. We recently began providing the Vegawatt. A Vegawatt™ cogeneration system turns your waste vegetable oil into electricity and hot water. The fully automated equipment is located at your site, and you never need to worry about an overflowing oil barrel, a missed pickup, or the mess associated with oil storage ever again. The best part is that you get the direct benefit of lower electrical bills and in some cases the peace of mind of having an Emergency Generator. Just deposit your waste oil into the system, and the Vegawatt™ does the rest! Reduce electricity demand and energy costs. Reduce domestic hot water energy costs. Eliminate waste oil hauling costs. In some cases you can protect your site with an Automatic Emergency Backup Generator. Attract Eco-Friendly patrons. For sites which produce 30-120 gallons of waste vegetable oil per week. Payback estimated at 2-4 years. Call David Temple 978 884 8156.